Happy Birthday Molly!!!! 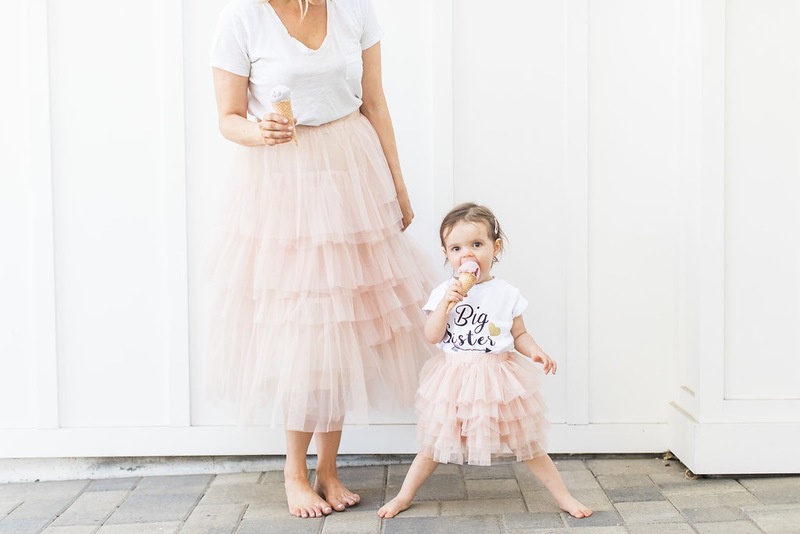 Mommy & Me Chicwish Party Looks! Molly is 2 today!!!! I can’t believe it. Recently I’ve seen a lot of people I know post things on Facebook about their kids turning another year older and how emotional it made them feel. I couldn’t really relate since I hadn’t had that feeling before. When Molly turned one I was just super excited to have made it through the first year alive! Ha! But now that she’s turning two, I totally understand what they were feeling. And I’m sure as she gets older, each birthday will just get more and more emotional. But last night when I was reading her bedtime stories, I realized that was the last story I’d read to her as a one-year-old. I also realized I would never refer to her in months anymore. I think that’s a real sign that your baby is no longer a baby. Up until two you always say things like, “my child is 22-months-old.” But now she’s just two. I’m so proud of the little girl she’s becoming. She’s so smart. Truly I feel like people are always surprised by her vocabilary when they meet her. She can already put three and four words together to form short sentences, she knows all her letters and many numbers, and she never wants to put a book down! I know as a society we tend to praise girls on how they look but I hope to reinforce in her every single day how smart she is and how important it is to nourish that thirst for knowledge. Because she’s so interested in learning, reading and exploring right now. I hope she never loses that. But with that said, I have to just say I think she’s so beautiful. And I’ll say the same thing about my son when he turns two! When I look at her little face I feel like I’ve never seen anything as beautiful in my whole life. I’m sure all parents feel that when they look at their children. It’s a pretty special feeling to look at a little human being that’s so perfect and think “I made you.” She’s everything. The last thing I want to say about my special little girl, is that she has the biggest heart! It’s the cutest thing ever but she will go around and kiss everything she sees in her room. She’ll not only give her mommy and daddy sweet kisses, and of course her baby brother and doggy Owen, but also her basketball, her baseball hat, her kitchen, her books and even her chairs. I hope she grows up and gives back to her community and sticks up for what’s right even when others around her are doing what’s wrong. I think she’ll grow up to have a lot of empathy for others. I already see it in her. My mother raised me to really care about other people. When I was in elementary school I remember being praised by the principal for sticking up for a young boy on the school bus who is being bullied. My mother raised me that way and I hope that I’m able to raise Molly the same way. In these pics Molly is wearing her big sister shirt, but I recently bought her a shirt that says “two” on the front that she’ll be wearing on Sunday with the pink tutu. I’m wearing my favorite white tee with it. By the way, I’m so excited to be able to wear these T-shirts again! As you guys know I’m OBSESSED with these T-shirts and I used to blog about them all the time! They’re under $20 and they’re the absolutely most flattering and comfortable white T-shirts I’ve ever owned. Well actually, they come in a bunch of other colors too. But I’m wearing the white version today. I own it in every color it’s available in. Her party theme is going to be Pinkalicious (she loves that book)! So as you can see these tutus are pretty perfect! What do you guys think?! Last week I suggested that I wear this dress to her party. But now that we have these tutus, I feel like we for sure need to wear them! Anyway, just wanted to share how I’m feeling this morning now that my baby girl is officially a little kid. I definitely shed a few tears last night and I’m sure there will be more today. But I’m just so proud of her and so excited to see the young woman she’ll grow to be! Happy Birthday Molly!!! Happy Birthday to your girl !! I was just full on sobbing! This is such a touching post about your beautiful daughter! Happy Birthday, Molly! My daughter is turning 5 next month and reading your post just brought to the forefront everything that I have been feeling with her. It’s hard to believe she will be going to Kindergarten, starting to read, etc…. Just remember… no matter how old Molly gets though, she will always be your baby girl! Happy birthday again! Happy Birthday to Molly! The Big 2! 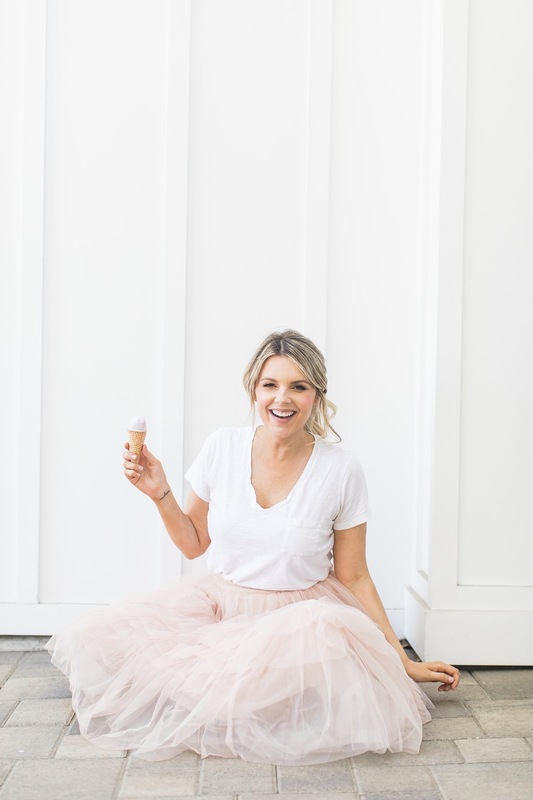 I think the idea of a Pinkalicious party is so sweet and feminine! Keep up the great planning and ideas! Happy, happy 2nd Birthday Molly🎉🎂🎈🎊, have a super duper day. Ali ! Kohl’s has the pinkilicious doll for 5.00 right now, along with the book! Kohl’s cares for kids line. You could totally get those for all the kids at the party or for thank you gifts! Happy Birthday to Molly! You both look so cute! Happy birthday Molly! 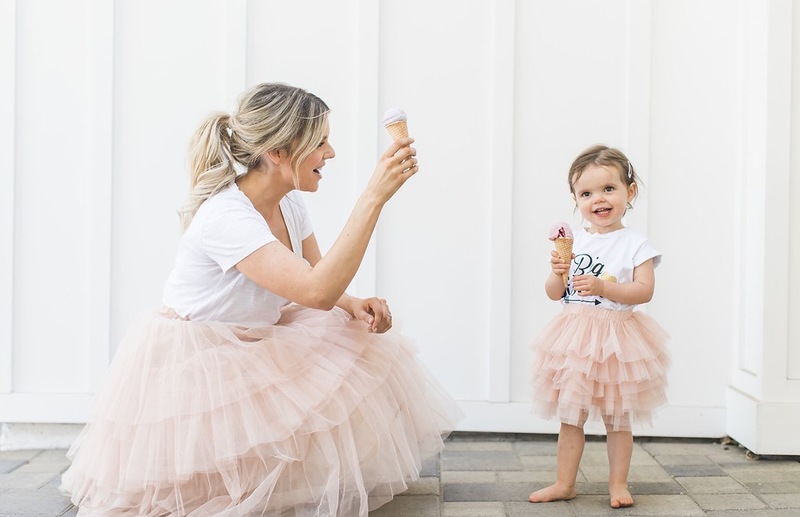 Love the matching tutus! Ps. Any tips on how you got her vocabulary to be so good – I remember once seeing a video of her recognising letters! I was so impressed! Happy birthday, Molly!! I love the matching tutus!! I so want to do that for my daughter’s 2nd bday at the end of the month but I’m 7 months preggo so not thinking that will work. 😫 Maybe next year!!! Happy birthday to Molly!!! I remember when my daughter turned two being in complete shock that over the course of a year she went from a baby to a little person. My son is 2.5 and I was so excited when he turned 1 to be able to watch the baby-to-person progression that happens over that year again. I appreciated it even more with him because I knew, from watching my daughter, just how much he would change in a year. It STILL blew me away, even knowing what would come. It’s awesome. She is adorable and you are gorgeous. Happy Birthday Molly. You are my favorite little one to watch on social media. I love the way you talk and watching you read in your parents videos. You make me smile and laugh everyday because you are just the cutest. Ali you and Kevin are doing a great job raising her. I love your family. What are you using to tech her letters and numbers. Please share. That be thankful. Such a beautiful milestone it is. My daughter is 15 today, I know exactly how emotional you’re feeling, I feel it each year and each milestone, they’re priceless gifts. Happy Birthday sweet Molly! My daughter adores Pinkalicious too! Especially the tv show on PBS!! Also, Kohl’s has the $5 doll of Pinkalicious and Pete the Cat right now!! I will be heading over there soon go pick them up for my kiddo, Ashlyn, and for my classroom library at my new school!! I’m just curious what size white t-shirt are you wearing in the pics? Right now the white is sold out in large and that’s the size I thought I might need. But if they run really big I could size down….appreciate it in advance . Also Happy Birthday to Molly! All your picks are so cute! I have a 3.5 yr old boy, and time sure does fly! Happy Birthday sweet Molly! My lol girl will be 2 next month and I’m going through all the feels you r!!! 😭 where does time go?! Hi Ali! And happy birthday Molly! My daughter will be two in September, and I also just had my second – a little boy born in early June! I find our lives (mine much less glamorous!) very relatable! I’m curious how you’ve gotten Molly to learn her letters and numbers. Is there a book or app y’all use? Now that I will be a “stay at home mom,” I really need to start working with my daughter. Would love to hear your secrets – Molly is a smart little cookie! Happy 2nd Birthday sweet Molly! She’s such a smart and beautiful little girl! Love the matching outfits…so sweet! Hope Molly has a wonderful day!